How do you like your duck? I’ll take mine a number of ways. On the bone. Off the bone. Just the breast with a simple honey sauce. But if we’re talking about the whole duck, then I have to have it slow roasted until the skin is so crispy, sweet and glossy that it dissolves on your tongue with the first bite. Who would have thought that such delicious duck was possible, and easy to make at home? This duck never got a big reveal under a silver dome. We just ripped right into it and devoured it. The first time I had duck served this way was at the Four Seasons in New York City. Seated in the pool room, I felt like such a fake, self-conscious of being completely out of place at this chic magazine tycoon hangout dressed up to the nines in my suburban mom best. I could have been sitting at the very table where the fate of Gourmet was decided! But once the duck arrived, I forgot about where I was and what I was wearing, completely overcome by how good it was. I was hooked from the beginning of the duck ceremony: the maitre d’ came over to carve, removed the silver cover and revealed the bird, in all its glory. My home kitchen is a far cry from the Four Seasons pool room, but one bite of the crispy duck transports me back there. I didn’t think this type of beautiful whole duck was possible or attainable at home, but then I discovered The Hungry Mouse and her easy How to Roast a Duck recipe. 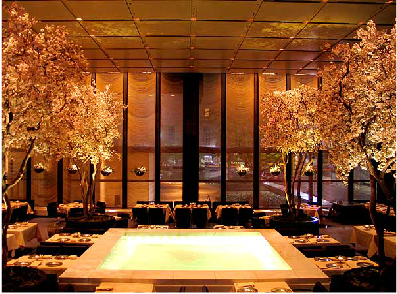 Perfect duck no longer requires a trip to New York City and a reservation at the Four Seasons. If you have an afternoon at home, a roasting pan with rack, and a duck, then you’re just a few hours away from duck perfection. And that roasted duck perfection is a pretty amazing dinner to serve. You’ll get compliments galore, and no one needs to know that the duck basically cooked itself. All you did was place it on the rack, flip it four times, and brushed it once with a sweet glaze. But who needs to know you only flipped the bird? A little extra praise never hurt anyone. 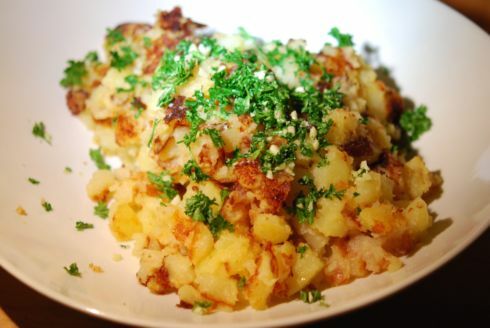 With the extra fat in the pan, you might want to whip up some duck fat potatoes, leaving nothing to waste on the bird. Save any leftover pan drippings to make duck fat potatoes. 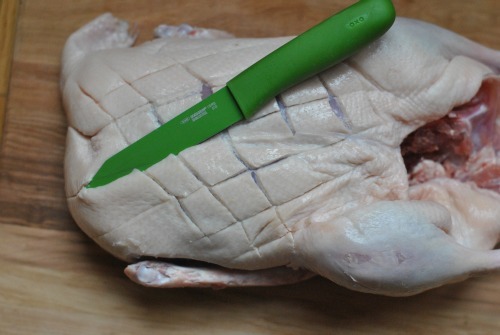 Or you can render any extra skin to get pure white duck fat. Just a word of warning: you’ll need a fair amount of skin to yield enough fat for a batch of potatoes. 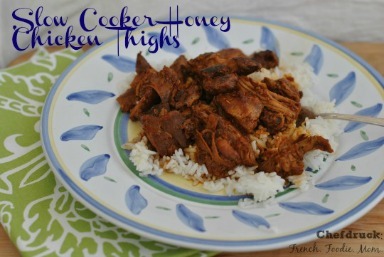 I’m adding the recipe here, in my own words, but do go check out The Hungry Mouse write up. She has gobs of great pictures and you’ll see the process step by step in great detail. Her glaze is also different than mine. I wanted nothing spicy in our duck to keep it a crowd pleaser for all the kids. Take the duck, remove any giblets, neck or innards that may have been tucked inside by a kindly butcher. Save these. They might be delicious tossed with some potatoes that have been pan fried with a little duck fat. Place the duck breast side up on the baking rack. Cook for one hour. Flip the bird (sorry, couldn't resist) onto its breast. Cook for another hour. Flip the bird back onto its back. Cook for another hour. Flip the bird back onto its breast. Cook for one last hour. Turn the heat up to 400 degrees. Flip the duck back onto its back. Cook the duck for 10 minutes. Meanwhile, place the honey, soy sauce, and sweet chili sauce in a small saucepan with ¼ cups of water. Heat, stirring frequently. Remove the duck from the oven and brush thoroughly with the glaze. Cook for another 7-8 minutes, until gorgeous and caramelized all over. Remove the duck from the oven and let it cool for 5 minutes. Put the remaining glaze in a sauce bowl to serve with rice and veggies with the duck. Thanks. I picked up a duck today with no idea how to cook it. I will be trying this out. Would broiling instead of increasing heat to 400 degrees during the finishing achieve the same result? If not, how does increasing the heat 100 degrees achieve the crispy skin that broiling cannot? We made this recipe for Easter and it was the bomb! I believe that broiling would burn your beautiful duck skin. With so much fat, and a good lacquer, 400 degrees will be a great skin. Bump it up to 425, or even 450 if you would like, but don’t broil! This is a terrible recipe. After 3 hours the poor duck was already at an internal temp of 190F degrees (vs a desired final temp of 165F)! There is no possible way that you actually kept a 5-7 lb bird in a 300F oven for 4 hours without desiccating the thing. 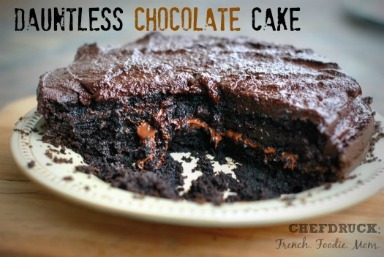 Why do you hate people so much that you would post this recipe? What did we ever do to you? You might want to check the calibration of your oven. Nearly all ovens are off by at least 25 degrees, and many are off much more that that. I tested mine and found out it runs 5 degrees cooler than the dial says. Ever since I learned that I now know how to correctly set my dial to compensate. Look into this because your oven may be burning too hot. Thank you so much Chef Druck. 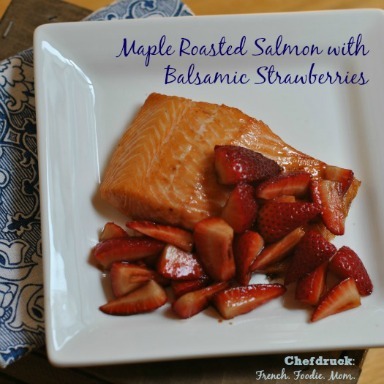 I have cooked this recipe many times and absolutely love it! I make it to impress the in-laws and it has worked a treat for several Christmas dinners and am cooking it for Thanksgiving this week. Testing internal temp is always a good idea as ovens vary so much that time in oven changes depending on both oven and size of duck. Do you roast duck covered or uncovered? No, I agree with Doug–this is a stupid recipe! If you just want the crispy skin, do it by all means–it will be super crispy! But the rest of the duck will be for throwing away. 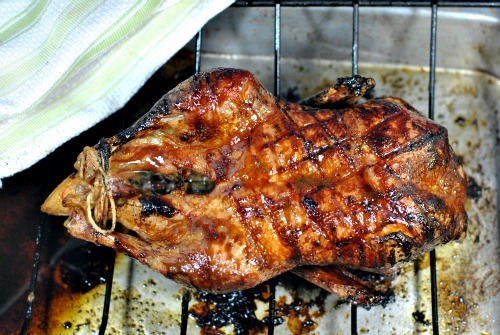 To cook duck, you need a super hot oven (250 C) to get the fat melting, then a cooler one to cook the meat (170). I bowed to pressure from my wife and daughter (who are crispy skin freaks and found this recipe) and made it against my better judgement, cutting the cooking time down to 3 hours and the heat to 140, but the bird was toast at the end of it (though it did make some nice rillettes, so not a disaster overall). The girls swore not to interfere in my kitchen again (until next time).